The commotion reported in the first eighteen verses of the 20th chapter of St. John’s Gospel provides vivid imagery of Mary Magdalene’s agenda being dashed. In her grief she held powerful assumptions about what had happened. The disappearance of her Beloved Master’s body made Mary’s grief inconsolable and she reached the threshold of heartbreak brought by failure of her plan to anoint His body. Jesus appeared to Mary but she did not see him at first. She grasped onto an image of her beloved friend which no longer matched the reality. In the 17th verse, Mary encounters the true meaning of the resurrection, when her Master says, “Do not cling to Me, for I have not yet ascended to the Father.” The greatest joy of His resurrection was that it was a step towards His ascension. At that moment Mary had to make a choice to climb and step forth across the threshold, to release all that she thought she knew, and to open her broken heart to say “yes” to what came next. And so, it is the same with us–When we reach the threshold, we are called to release what we thought we knew and our desire to control what is to come. Which brings us a lesson given to us by a saint and a blackbird. One of the most widely known poems of the Nobel prizewinner Seamus Heaney, “St Kevin and the Blackbird,” flowingly tells about the legend of Kevin of Glendalough. On one morning during the Season of Lent, Kevin was praying in his small hut. He extended both arms and hands outside the windows, and a blackbird landed in his palm and started to build a nest. Rather than grasping or withdrawing his hand, Kevin held it up for unknown days or weeks—as long as it took for a new life to be hatched. Just like Mary at the empty tomb when her Lord spoke to her, Kevin received the gift offered to him no matter how uncomfortable it was, and he said “yes” to what arrived into his life’s pilgrimage. The legend of the saint and blackbird and the symbology of the story shares three parallel stages with Convergent Streams and USBN. The first stage is when Kevin shoves his arms and hands through the open windows with open palms. Seven years ago, Bishop Godsey and I metaphorically stuck our arms and hands out the media windows and independently started Convergent Streams and USBN. The second stage was when a blackbird landed and began building a nest in Kevin’s open palm. Similarly, the nest Bishop Greg started making for Convergent Streams was with his home computer, and mine was at a studio in uptown Phoenix. We kept our arms out the windows and palms open no matter the discomfort, and both of us invested whatever was needed to build these nests within the ISM community. The third stage was when the hatchling matured and flew from Kevin’s palm. And, my friends, that stage is happening now, as Bishop Godsey and I envision these hatchlings ascending from the nest and flying into the unknown where there are new callings within the progressive Christian universe. In last month’s issue, I wrote that leadership with foresight unites and enables us to surmount the turbulent days of the conflict. 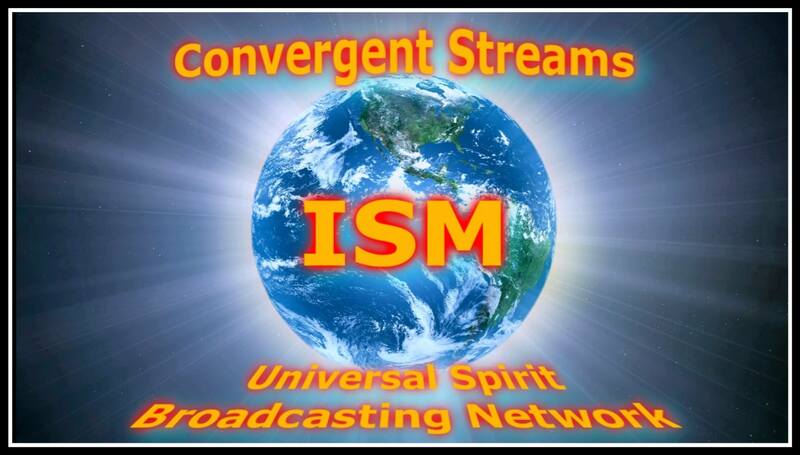 An invitation was extended for ISM clergy to participate with the outreach ministries of Convergent Streams and USBN and to support us with input, feedback, encouragement, promotion and prayer. In our recent conference call, Bishop Godsey and I continued our discussion about ascending to the next step that will, we pray and trust, cross the threshold–and we are saying “yes” to whatever and wherever Spirit leads. For us, the celebration of the resurrection holds the promise of new life—an ascending “blackbird” hatching of sorts. April 1, 2019 April 1, 2019 Right Rev. David Oliver Kling, M.Div.